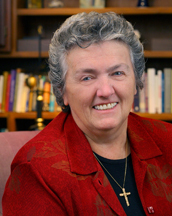 Sister Joan Chittister, OSB, To Speak at St. Joseph’s Provincial House! Save the date and tell your family and friends! The call and response of six prophets from the Hebrew Scriptures lay the groundwork of our own call and response to the challenges of our church and world today from Vatican II to the present. There will be a book signing and reception following the talk. or Counseling for Laity at 518-435-6625; e-mail Anne.smollin@rcda.org. 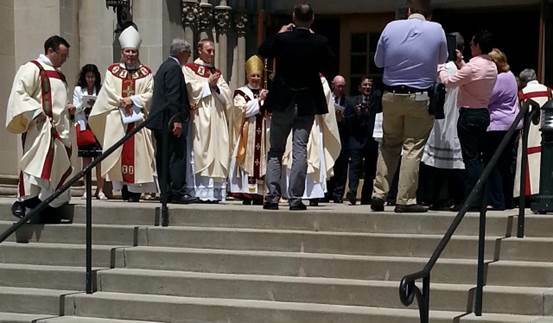 Rochester Ordination Witness Report from Marilu Aguilar. Judy and I were there today on this beautiful first day of summer. I stayed till the very end (with a walk to the corner for some refreshments in between). 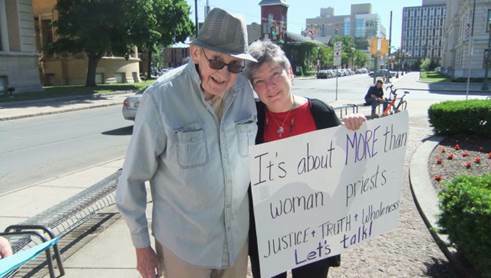 The dialogue didn’t always go the way we wanted today, but at least we were talking about the issue of women priests with people attending the ordination. Two men from the Netherlands asked if they could take our photos… they supported us as did a young couple who went out of their way to tell us they were Episcopalians and liked what we were doing. Some didn’t want us there and said some unkind things. I managed to get a copy of the program. Three huge paragraphs were devoted to who could and could not receive communion and why. Sounded like it was written by a lawyer. Every time I demonstrate someone says not in your life time or mine. That may be true, but as I’ve said before, Rome wasn’t built in a day, nor can it be changed in a day but the journey can begin with us. 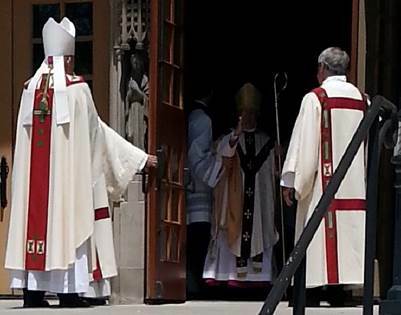 Bishop Matano gave me a blessing as he walked out of the church at the end of Mass. 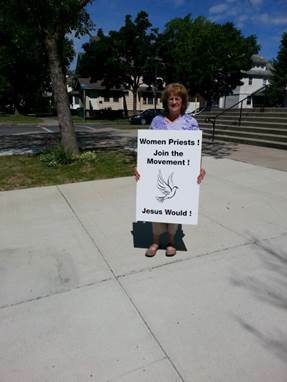 My sign was the first thing he saw when he walked out of the church. I’m guessing he was not too pleased to see me. To save my soul, he gave me a blessing and he was very deliberate about it. He was looking right at me as I was taking his photo. Wonder what Bishop Clark was thinking as he looked on. I shouted out a hello to Bishop Clark and he said how are you. In the photo he’s looking straight at me while I’m taking his picture. He looked well. During the media’s interviews with the Bishop and new priests. I mixed in with the crowd holding my sign high above my head. It felt so right to be there in those circumstances and right under the noses of the Rochester hierarchy. Syracuse, NY, Saturday June 7, 2014. Meg Ksander reports: We (13 of us!!) had some very positive interactions with folks coming to the ceremony – including family members of the young man (Jason Hage) being ordained. One negative verbal comment from a very young cleric. 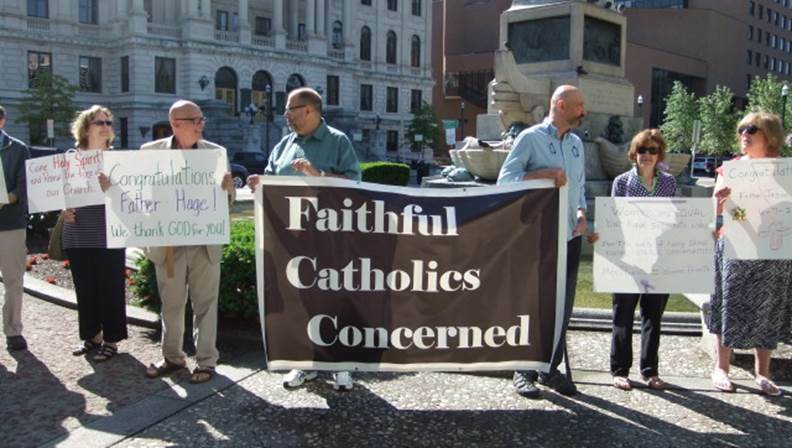 The editor of the Catholic Sun had a word with us and on Friday I was interviewed for WAER – an NPR station at SU. We got a friendly, enthusiastic wave from Tom Costello (aux. bishop) and a kind of formal Bishop acknowledgement (raised hand w/ eye contact) from Bishop Cunningham. The elderly gent in the photo below is dear (Fr.) Tony Keefe who joined with us! 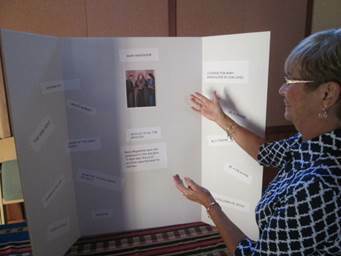 We prayed; we raised awareness … it was a joyful Pentecost celebration! Below is the text of the letter we handed out at the Cathedral. We had also previously sent letters to the Bishop and to the young man being ordained. Attached is a letter published in the on-line version of the Post-Standard. Greetings to all attending and celebrating today’s ordination! We, Faithful Catholics Concerned about the future of our Church, join you in congratulating the Reverend Jason Hage, rejoicing with him, his family and friends, and celebrating with the whole Church his vocation and his self-gift to the priesthood of Jesus Christ. We pray that his ministry is happy and fruitful for him and for the people of God in the Church of Syracuse! We are here to witness this Sacrament in a spirit of joy, but also with the awareness that our Church has thus far not chosen to recognize that women are also given the grace of this vocation of service in this priesthood. We concur with the Scripture that says, “in Christ Jesus, there is neither male nor female” and that all may be called to a life of witness and service regardless of gender. 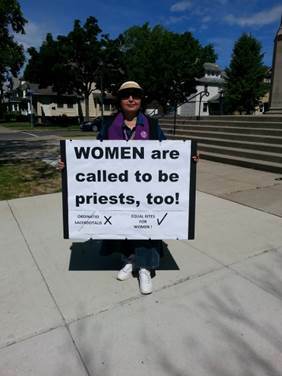 This has long been recognized by the Catholic Biblical Association that in 1979 published its research concluding that there was no Scriptural reason for excluding women from this ministry. Indeed, we believe that the Church and the ministry are only enriched by a priesthood that is open to both genders to manifest the loving and sacrificial presence of Jesus in this role. Therefore, we are here today not to diminish or protest this joyful event in any way, but to encourage our hierarchy and all the Body of Christ to realize that there are not seven sacraments possible for men and only six for women, but that the Holy Spirit may touch the soul of anyone with a call to this ministry and that our Church and world would only be enriched and better served by being receptive to this divine movement. Again, we congratulate Jason, and trust that he and you join us in prayer that the day will come when the mysteries of faith may be celebrated with priest of female gender, thus demonstrating to this needy world the power of God that transcends race, ethnicity, culture, and – yes – gender in the manifestation of the Divine Spirit acting in our world… in our very midst! 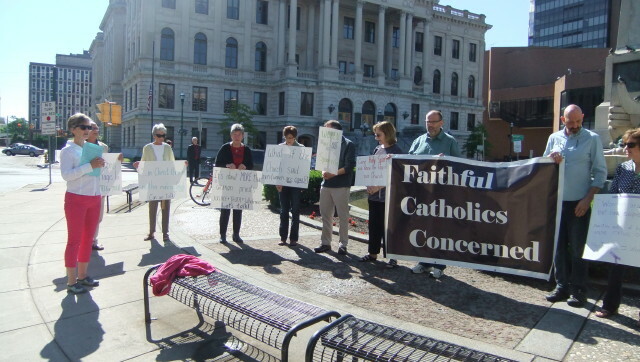 Faithful Catholics Concerned is a group of Catholics from throughout the Diocese of Syracuse organized in 2012 to draw attention to concerns of lay Catholics. 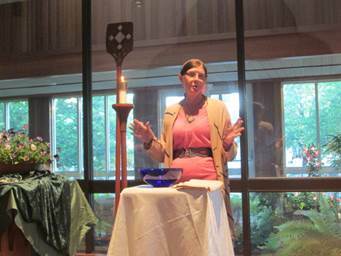 Capital District Call To Action together with the Inclusive Catholic Community of Albany Celebrated a Prayer Service in honor of the Feast of Mary Magdalene on Sunday evening June 1, 2014 at the Hubbard Interfaith Sanctuary, College of St. Rose, Albany, NY. Forty five people attended this service of music and prayer to proclaim the message of Mary Magdalene during the Easter Season. 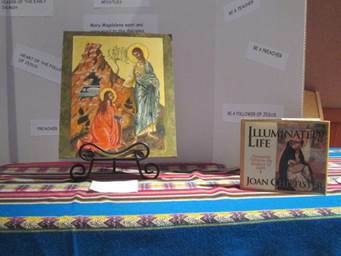 The Table of Honor coordinated by Margaret Dilgen offered a display of themes of the life of Mary Magdalene and also featured an Icon of Mary Magdalene by Dalia Herring. Debbie Trees, our service leader, welcomes us to the life-giving symbol of water and invites us to come forward to draw from that source. 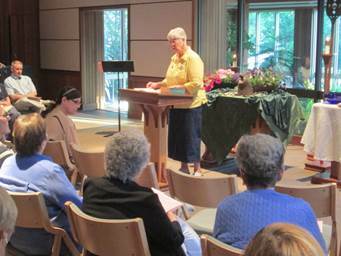 Mary Theresa Streck delivered the homily. I want to begin by thanking our hosts for the invitation to give the reflection tonight. I also want to begin by acknowledging that most of what I have to say is a blending of thoughts of two significant theologians within the Catholic Church, Sister Joan Chittister and Hans Kung. did not proclaim himself (he was a servant leader), but he did proclaim the kingdom of God as here and now. And he called for the fulfillment of the commandments of the Old Testament in commitment to one’s neighbor through benevolent love. Mary of Magada is a shining light of hope, a disciple of Christ, a model of wholeness for all of us who long for a renewed church. For the early community she was the Face of the Living God, heart burning with the love of Jesus, whose spirit was enlivened and empowered with a love that moved mountains.